This award-winning, epic fantasy campaign is now remastered for 5th Edition . Within this tome lies a gateway to epic tales limited only by your imagination. 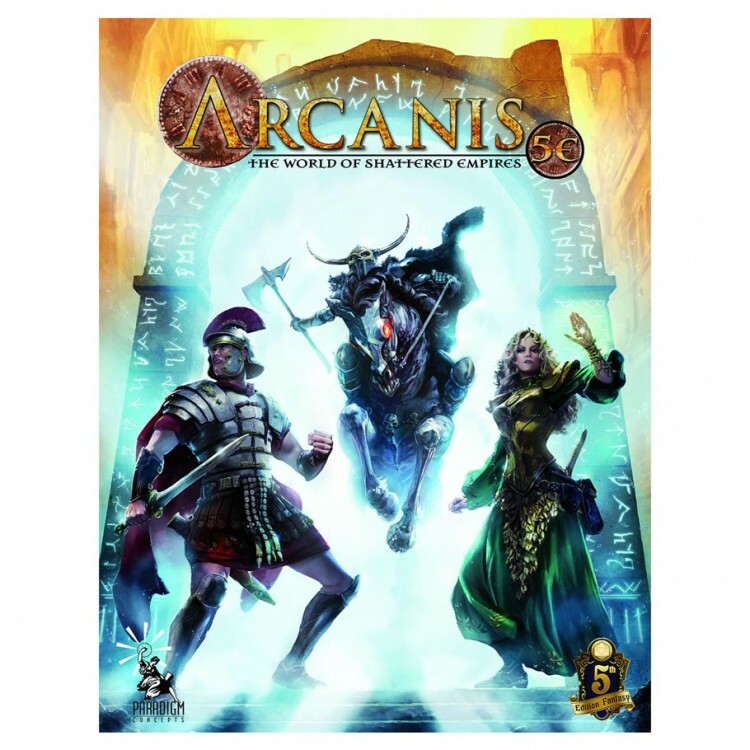 This 416 page book includes: New Clerical Aspects; New races and sub-races unique to Arcanis; Psionic rules; New Classes such as the Holy Champion, Psion and Shaman; New Backgrounds, Combat Schools, Feats, and Spells; Upgrade your Inspiration rules with the new Fate mechanic; An introduction to the Origins-Award winning Arcanis Campaign Setting. This book is an indispensable resource for both players and Game Masters alike.